"Big Data of the Beijing Film Industry" shows that a total of 410 films were produced in Beijing in 2018, accounting for 50 percent of the total number of film productions nationwide. Among these productions, 15 films went across the 100-million-yuan (US$14.91 million) mark at Chinese box offices. During the 2019 Spring Festival period, movie screenings generated 218 million yuan (US$32.51 million) at the box office in local theaters. Beijing film productions made 4.22 billion yuan (US$629.93 million) at box offices nationwide, accounting for 72.4 percent of total sales made from new films during the holiday season. The report also revealed China's big data for 2018 and the 2019 Chinese New Year period. The statistics show that in 2018, the domestic box office of the Chinese market reached a total of 60.97 billion yuan (US$9.09 billion), an increase of 9.06 percent year-on-year, of which, domestically produced films made 37.19 billion yuan (US$5.54 billion), accounting for 62.15 percent of the box office total made by all films, domestic and foreign, in China. This year, as of Feb.11, the total Chinese box office gross sales exceeded 10 billion yuan (US$1.49 billion) in 42 days, setting a new record. Along with these staggering figures, the Chinese film market has become more optimized, the industry has matured, and the quality of films has improved, the report said. Du Feijin, director of the Publicity Department of the Beijing Municipal Committee of the Communist Party of China and vice president of the Standing Committee of the 9th Beijing International Film Festival Organizing Committee, said in his speech at the opening ceremony of the film festival: "We are not only willing to embrace the world's movies with open arms, but we also want to explore the organic integration of oriental aesthetic and motion pictures. In so doing, we want to tell the stories of China, contribute Chinese wisdom and Chinese creativity to the world's film industry. " He added, "The film festival will continue to inject new impetus and new vitality into the development of Chinese film and world film." With Beijing as one of the core development bases, Chinese filmmakers continue to make remarkable achievements, he said. Up to now, the top three highest-grossing films of all time in Chinese film market are "Wolf Warrior 2," "The Wandering Earth" and "Operation Red Sea," all produced by Beijing's film companies. As the center of the Chinese film industry, Beijing has taken on a huge historical responsibility. These three films profoundly reflect the Chinese people's love for their homes and their own country from different angles. This year also marks the 70th anniversary of the founding of the People's Republic of China. In the past 70 years, since the founding of modern China, Chinese films have made remarkable achievements at home and abroad. The opening gala, held inside the State Production Base of the China Film Group in Beijing's remote Huairou district, centered on the theme of "Home • Land" and led audiences to review the film development of China. The grand ceremony was witnessed by an assemblage of Chinese and foreign filmmakers, which included renowned actors such as French actress Sophie Marceau, American actor Christopher Walken, Japanese actress Komaki Kurihara, Chinese actors Zhang Hanyu, Hu Ge, Chinese actresses Zhou Dongyu, Carina Lau and Angelababy. The opening ceremony also comprised the onstage unveiling of the jury panel, led by "The Lion King" director Rob Minkoff, for the Tiantan Awards as well as the introduction of the 15 shortlisted films vying for the awards. There was also a presentation of the creative teams behind the movies promoted at the opening ceremony including the much-anticipated "Li Na" by Peter Chan as well as various other entertaining performances. The film festival, which officially opened on Saturday, will hold more than 500 events during its 7-day run. It will conclude on April 20 and announce the winners of the awards. Other events during the film festival include "Forward Future" to discover future film trends and new filmmakers from around the globe and "Documentary Sector" to explore the documentary industry. There will also be many industry forums, premieres of new films, film concerts, film carnivals and screenings of nearly 500 classic and rare films in the "Film in Panorama" section at the festival. 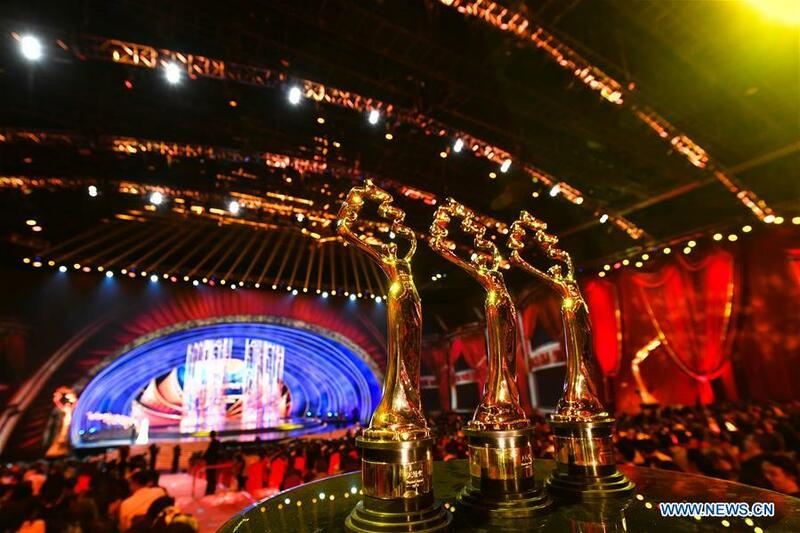 The ninth Beijing International Film Festival opened in Beijing on Saturday and released a big data report on its film industry.